It’s Chinese New Year on Tuesday 5th February!! Why not skip the take-out and make these tastier versions in your own home instead! 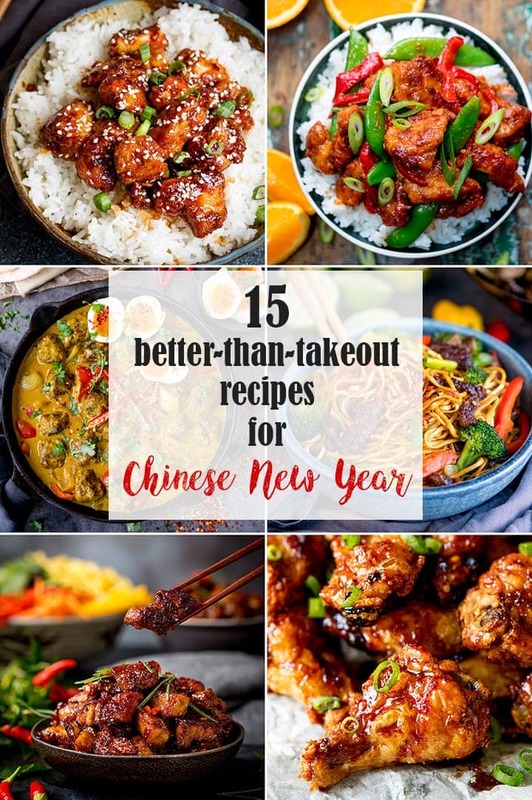 These are my favourite recipes for Chinese New Year! 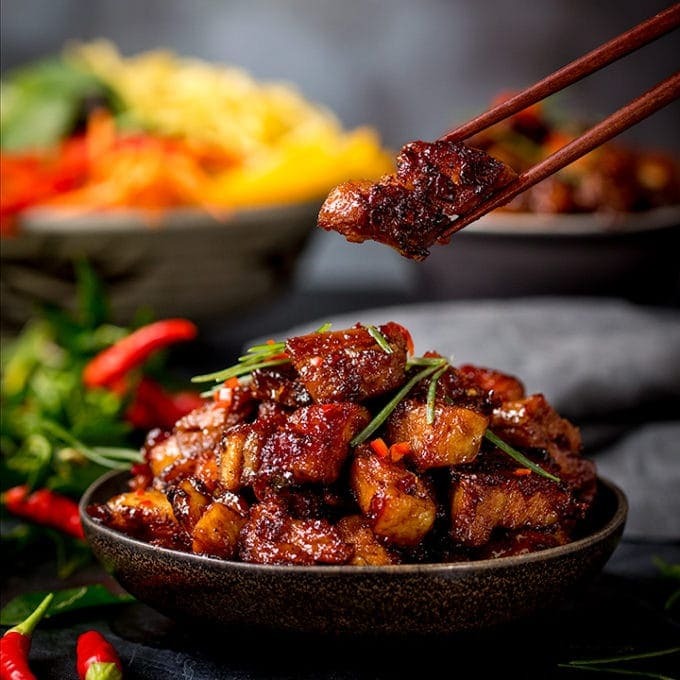 Updated for 2019 with some of my favourite Chinese-inspired recipes! We may not take part in a lot of the traditional Chinese New Year activities such as lighting firecrackers and red paper decorations, but we do love to make our own homemade Chinese banquet. 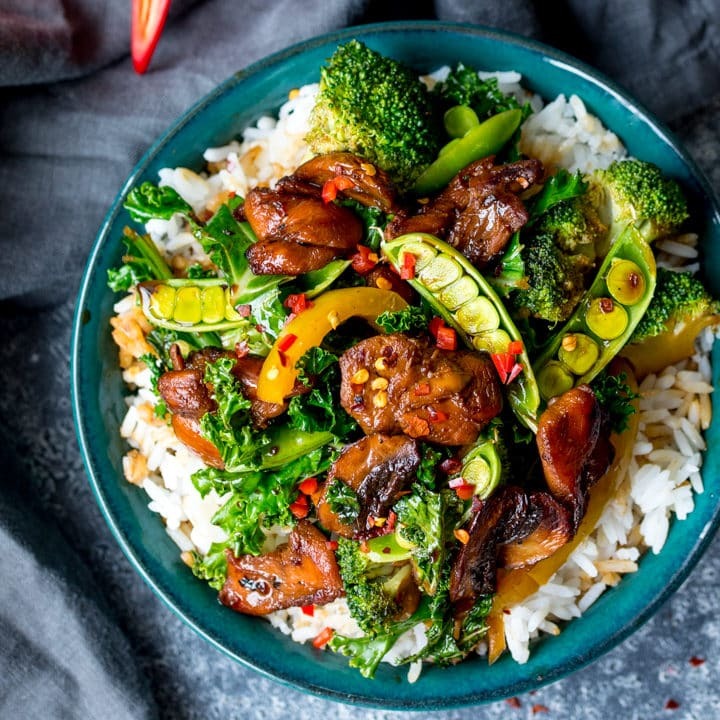 I love Chinese take-out as much as anyone, but it’s so easy to make some great Chinese dishes that are quicker, healthier and tastier. 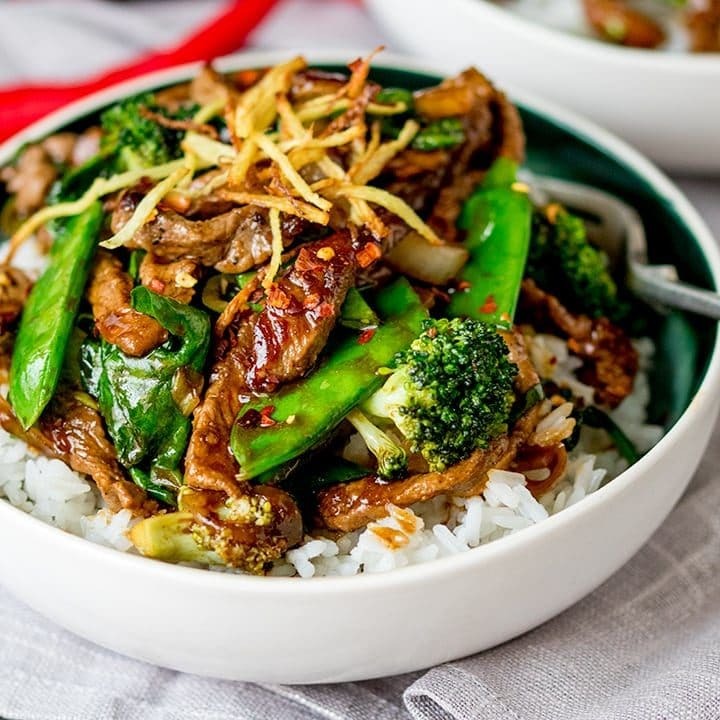 My copycat recipe of that Panda Express favourite – ready in 20 minutes! 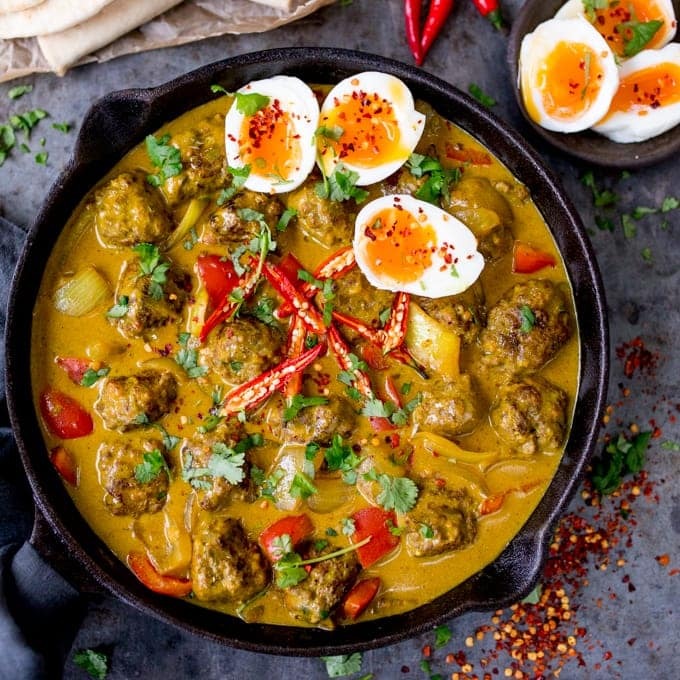 This Chinese Style Curry with Juicy Meatballs makes a great, comforting dinner. Serve with cauliflower rice for a lighter dinner! 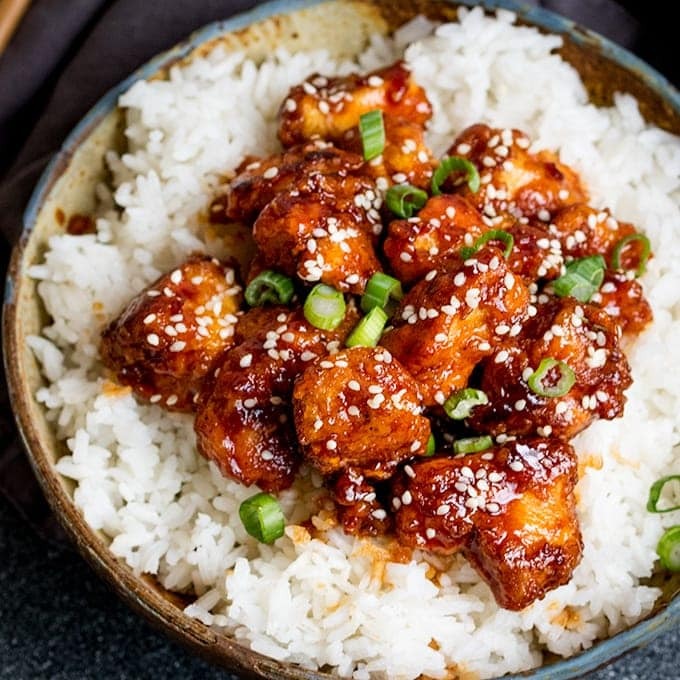 This Chinese Crispy Chicken with Honey Garlic Sauce is one of those meals everyone loves! A deliciously crispy coating with tender chicken and a sticky sweet sauce! 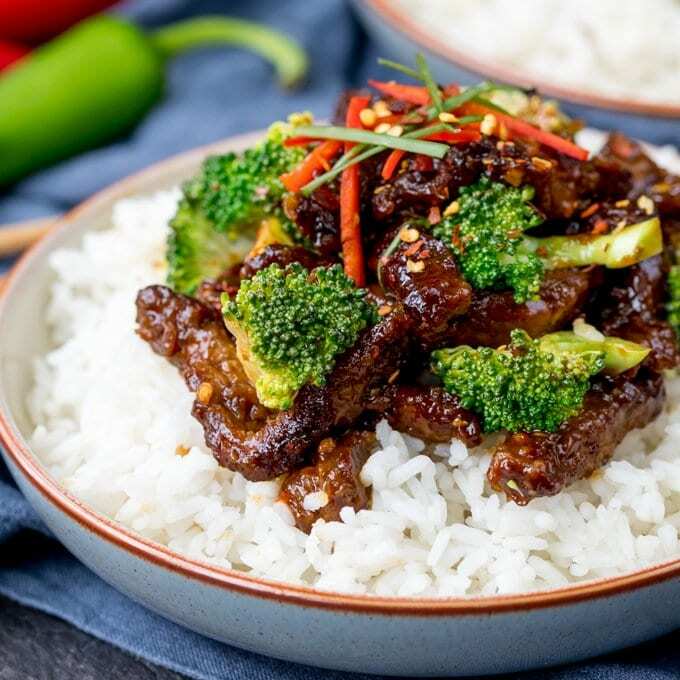 A tasty, make-ahead meal of slow-cooked saucy Chinese beef. Perfect when you’re cooking for a crowd! 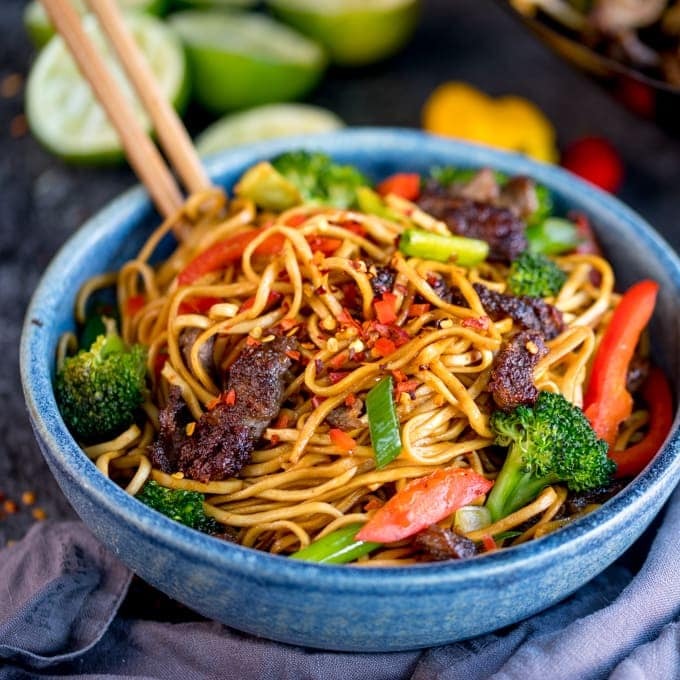 These Crispy Chilli Beef Noodles can be on the table in 20 minutes. That’s quicker than the time it takes a takeaway to be delivered! 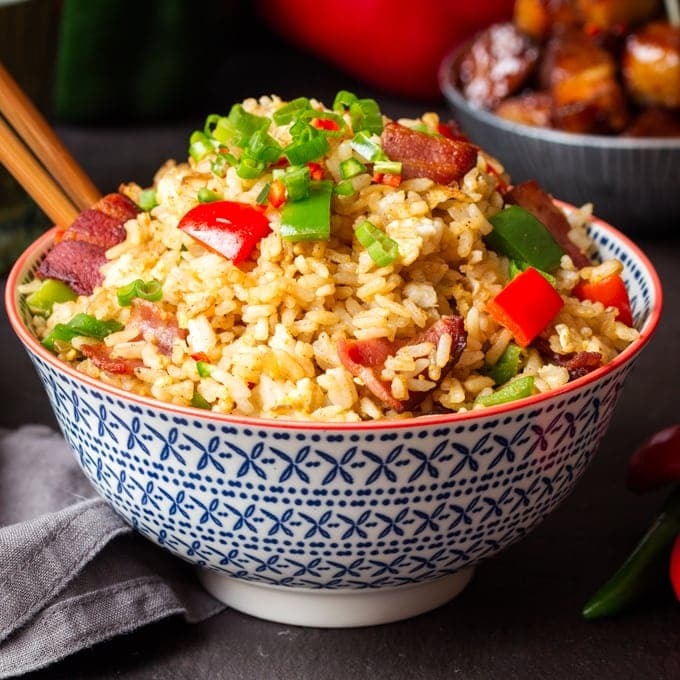 This is a masterclass post with instructions and tips for making perfect fried rice! 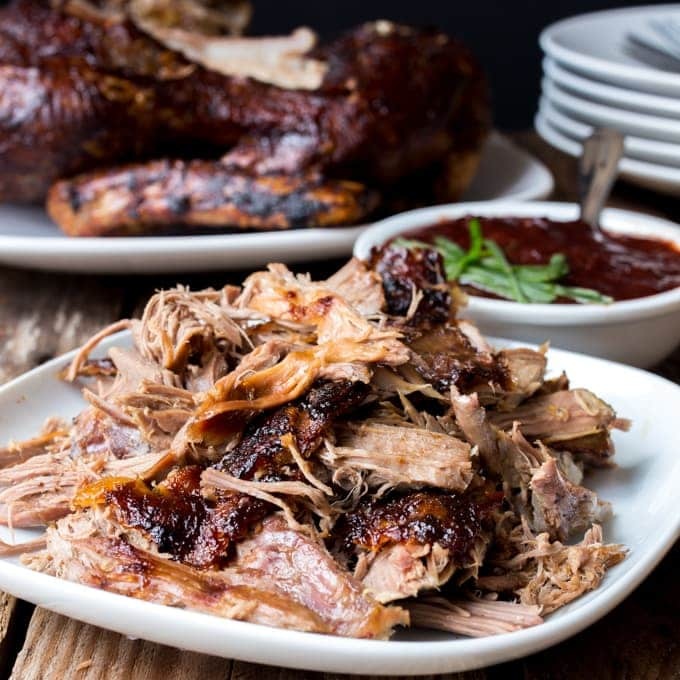 Slow-cooked until meltingly tender and then finished with a spicy sticky glaze. 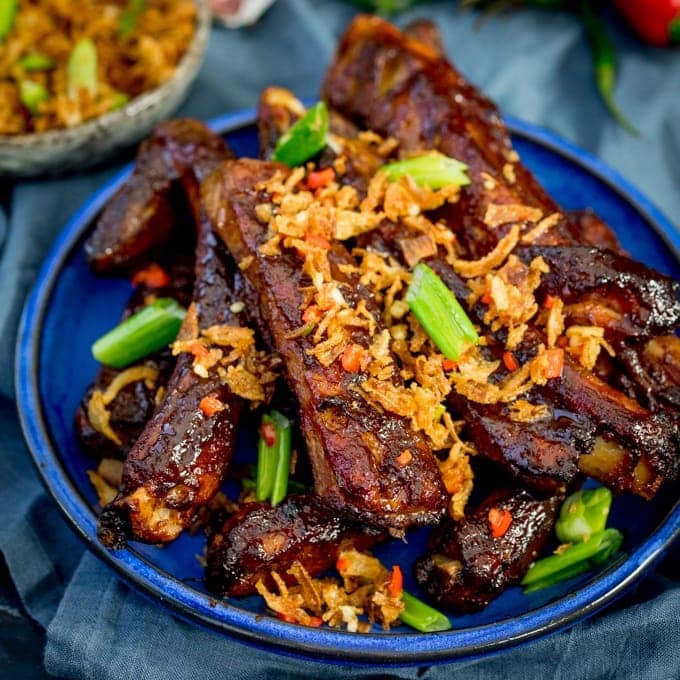 My copycat recipe for some amazing ribs we had in Chinatown in London. 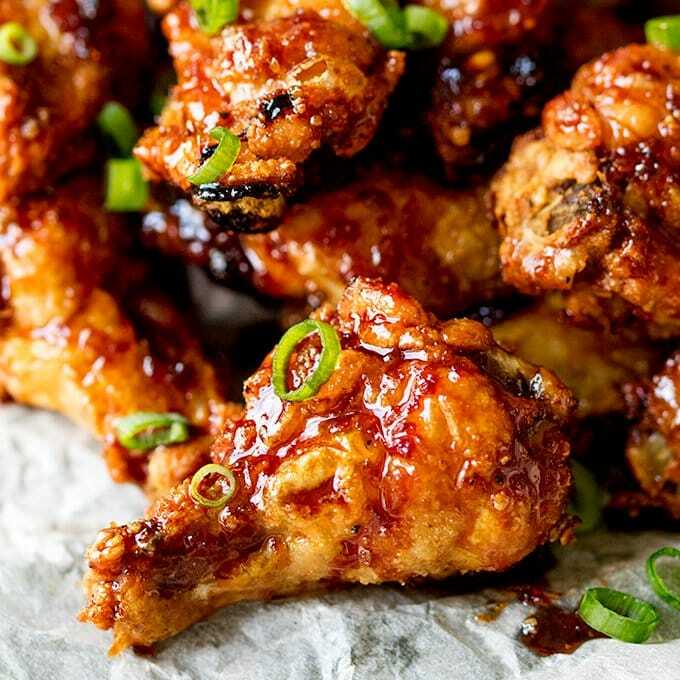 These Sticky and Crispy Asian Chicken Wings have the perfect crunch and sticky sweetness – the BEST chicken wings! 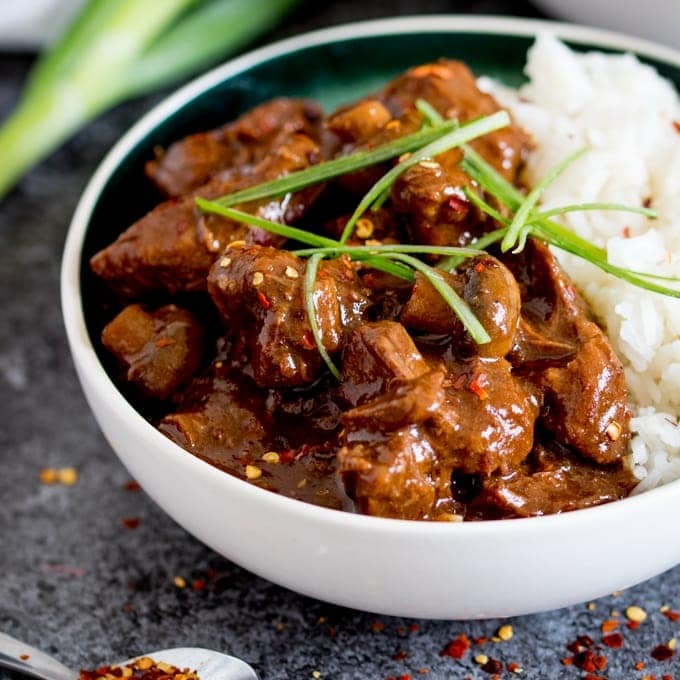 Consistently one of the most popular recipes on the blog – the most satisfying dinner when that takeout craving strikes! 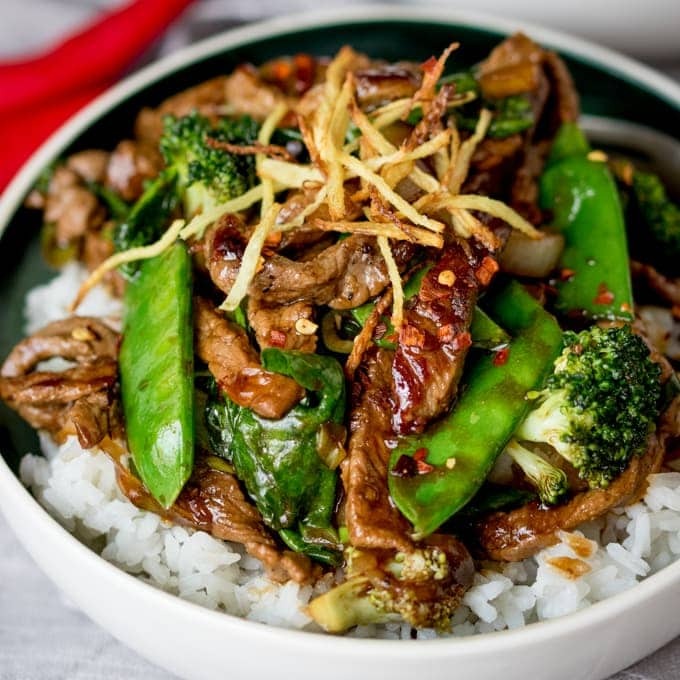 Tender beef sirloin with crispy ginger, green veg and a simple-but-tasty Chinese-inspired sauce. 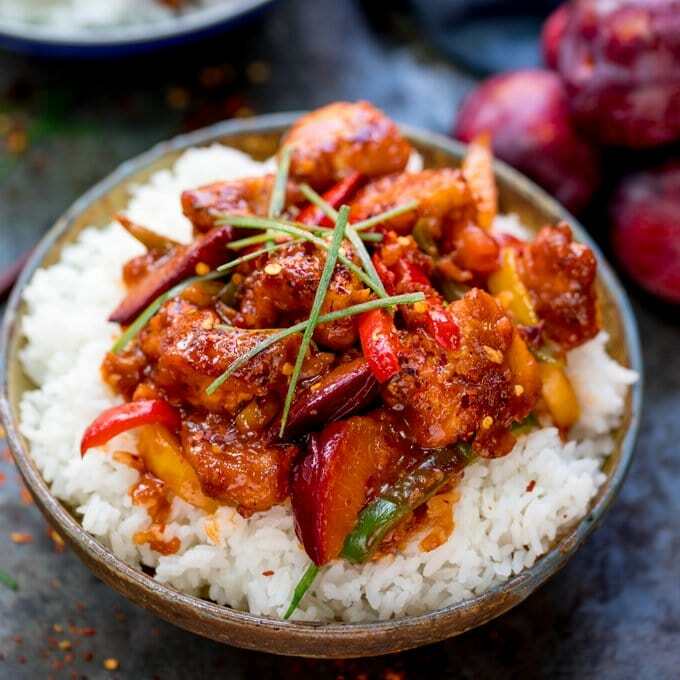 Crispy coated chicken in a sticky-spicy plum sauce – plus a trick to save on the washing up too! The easiest way to make, slow-cooked, fall apart duck with crispy skin. Sweet, Sour, Salty and Spicy! My husband’s absolute favourite. Tangy, delicious and ready in 25 minutes! 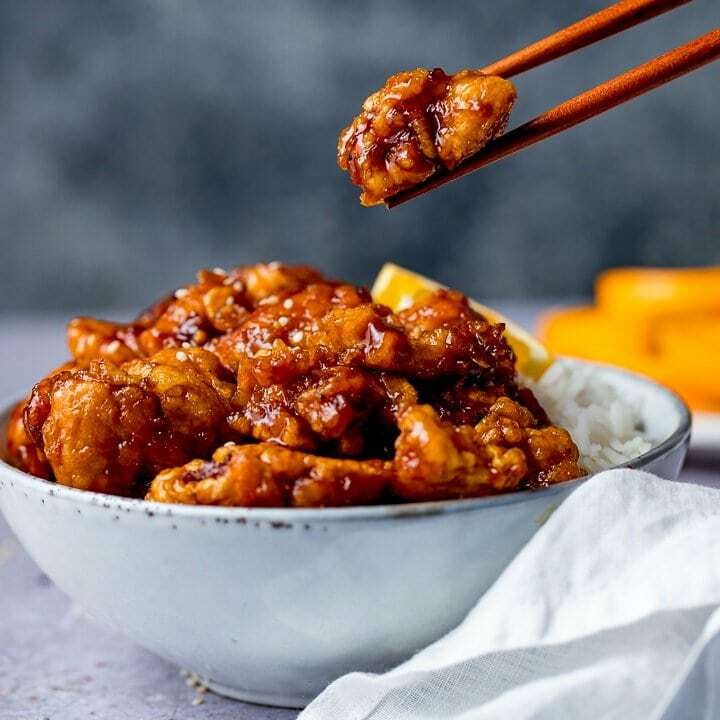 Orange Chicken Recipe – Ready in 20 Minutes! Oh yum, Nicky! 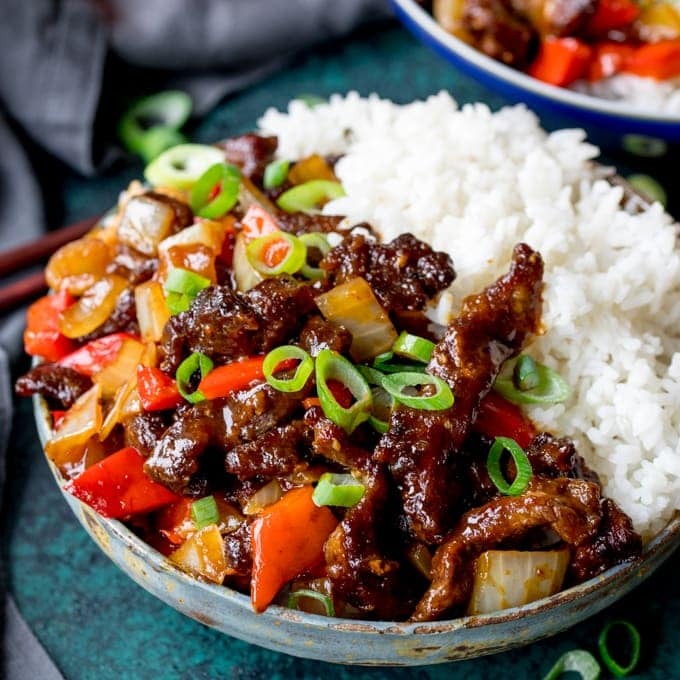 The crispy chili beef looks like a winner. And thanks for including my Lemon Honey Glazed Lamb. 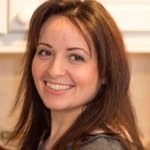 Thanks Elizabeth, the chilli beef is so good. It’s always the first thing my husband chooses when I ask him what he wants for dinner. You lamb looks gorgeous, I can’t wait to try it. That pulled duck has my mouth watering at 8:30 in the morning. Is it weird to have duck for breakfast? 😉 Thank you so much for the mention. Ha ha, well i’d eat duck for breakfast no problem 🙂 Love those egg rolls! Hi Nicky! 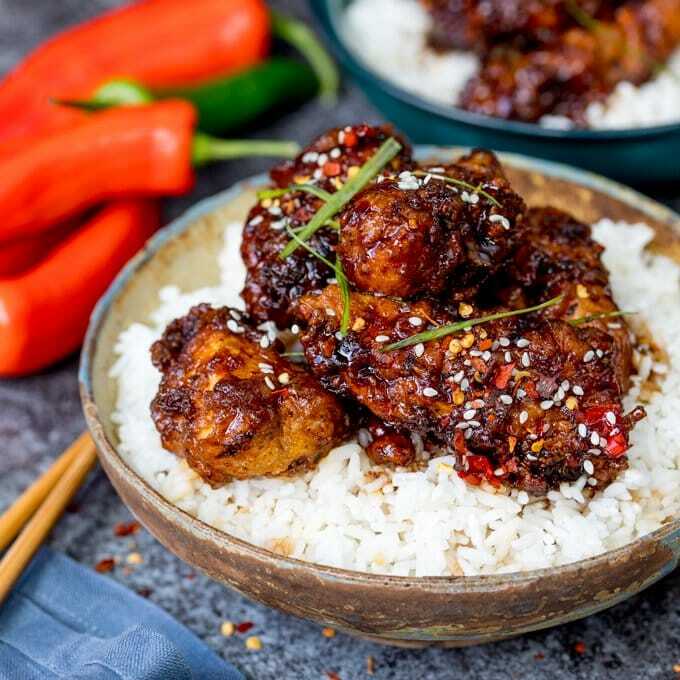 Thanks for sharing my Baked Honey Chicken recipe! It originated from Kirbies Kitchen and it’s one of my family’s new faves! Love this round up – everything looks fantastically yummy!